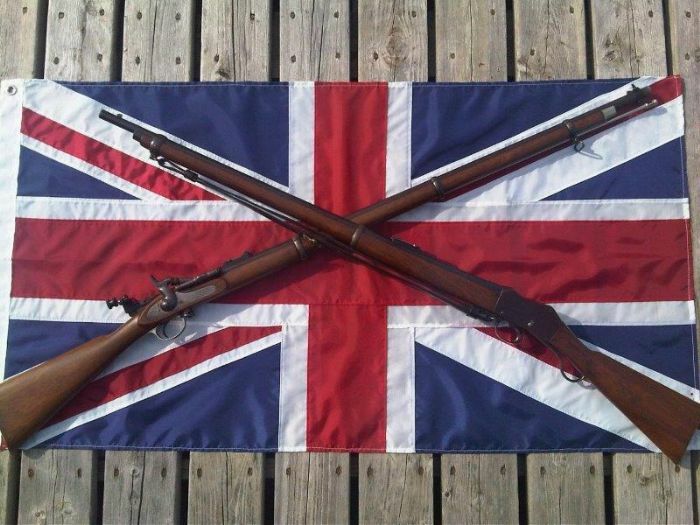 I’m off to the range tomorrow to test a new load. I’m looking for a lower recoil load for CMP 200 yard Vintage Military Rifle match shooting than my current match load with the 174 gr Sierra MatchKing (SMK). 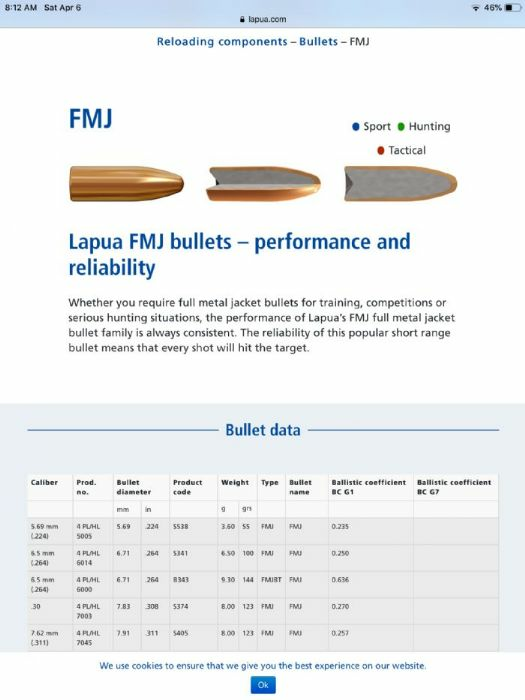 The bullet I’ve selected is the Lapua 123 grain FMJ flat base. It measures 0.3105 in diameter from several samples I checked with a micrometer. My first loads will be with Varget, 42.0 to 44.0 grains. Cases are Canadian DI 1944. WLR primers. COL 2.90 inches. I will also test with H4895 if the initial tests with Varget are promising. 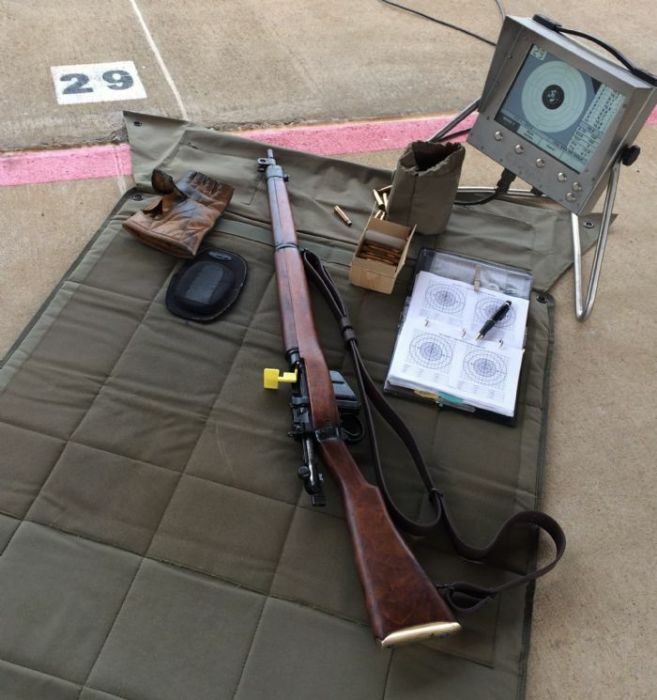 I will post a range report tomorrow. 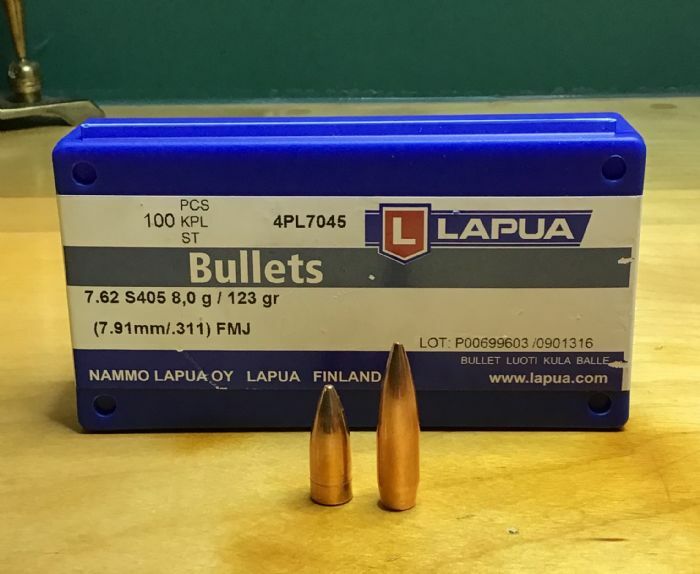 Bullet on left is the Lapua 123 gr FMJ. Bullet in right is the 174 gr SMK. Let us know haw you get on. I for one am interested in your findings. A while back I tried some 125 Gr loads using bullets for the AK because its the bigger diameter not 7.62mm. They had to be seated way out to feed from the magazine well, & they didn't group well for me. The fact that it's got a flat base makes it look much shorter than the SMK; but due to the boat tail of the SMK; it may not be as bad as it initially looks in the photo for seating and jump. Worth measuring the length from the base to where the diameter drops to around .305 to compare accurately. I would be interested to know the results of your test. This load has some promise. Bullet - 123 gr Lapua FMJ Flat Base, 0.3105 dia. This load had noticeably less recoil than my standard match load with 174 gr SMK and 40.0 gr Varget. Required 4 minutes elevation increase from my standard match load for 200 yd zero. 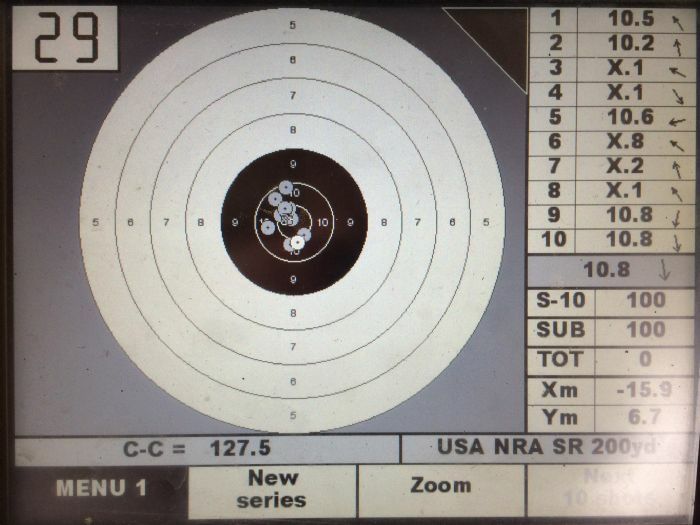 After zeroing the rifle with the new load, here is the first 10 shot group fired from No. 4 Mk 1/3 Savage with Faz BBL at 200 yards in prone position with sling. 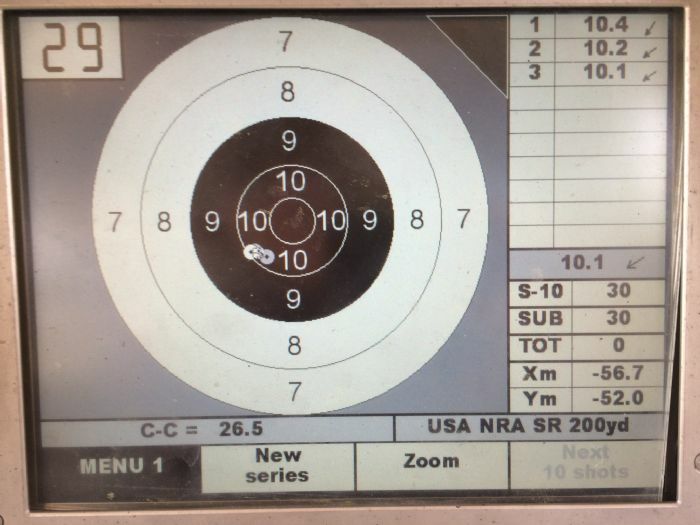 NRA Short Range (SR) Target. Not my best results, but still quite acceptable for the CMP VMR matches. Score 100-5x, extreme spread about 2.5 MOA. 44 gr Varget about filled the case, I’m going to reduce the load to 42.0 grains and retest. That is a lot better result than I thought you'd get Brit! Very nice indeed. It may be worth playing with these pills myself when I get time. Thanks for showing us! I am Still surprised! Pukka, I must admit, I did not expect this either. Some load development may be in order, this was just my first attempt. This is a rather strange bullet. There is a cannelure of sorts, but is it quite wide. I will take a close up pic tomorrow with dimensions. I was concerned that neck tension would be weak as the bullet diameter is significantly reduced for a large part of the bearing surface. Thanks for the information. Very helpful. Thanks for posting the info from your test. The results look very promising. I would be interested to compare the profile of the two rounds. Good shooting! Thanks for keeping us up to date! 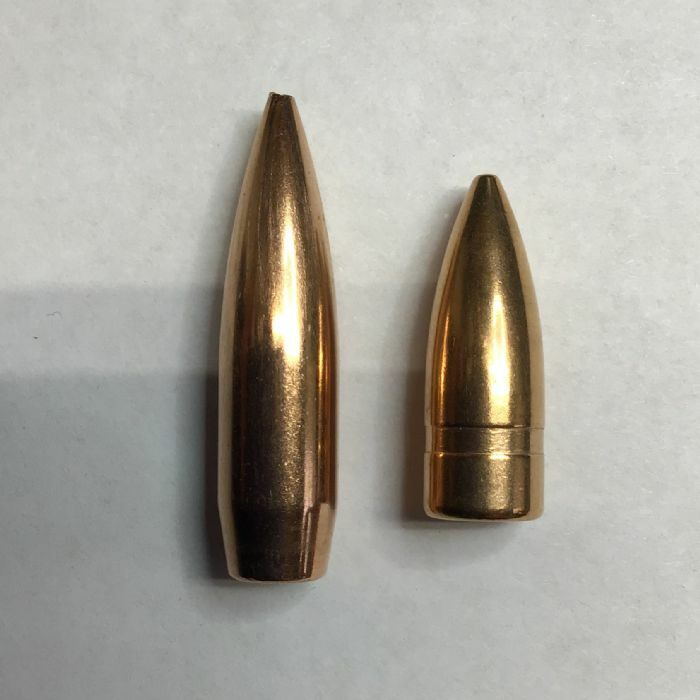 Here is a close up of the two bullets. 174 gr SMK on left and 123 Lapua FMJ on right. Note the “cannelure” on the Lapua bullet. It is 0.07 inches wide and the bullet diameter in the groove measures 0.304 inches. The base is somewhat concave. I seated the bullets so that the neck almost covered the cannelure. I will try next loads seating out to the lower edge of the cannelure. From Lapua website, bottom row of table is the .311 123 gr. As a side note, here is why I don’t get excited about three shot groups. The first three shots in one of the groups I fired yesterday was about 1.0 inch extreme spread at 200 yards, that’s 0.5 MOA. The fourth shot was an X and opened it up to 1 MOA, the fifth shot was back in with the first three shots. The final group of ten shots was about 2 MOA. At least one MOA is attributed to the shooter. Did you single load for this shoot, or use the magazine? Very fine shooting either way!! Edited to ask where you find these bullets, B-R? I was single feeding. I ran 5 rounds thru the magazine several times to see if the cartridges would feed and for the most part they did. The last round would occasionally pop up out of the front lip on the mag and the bullet nose would get jammed on the left edge of the barrel breach end. These bullets are available from the typical reloading vendors in the US, Midway, Graf and Son and others. You will probably also find them in Canada. You did way, way better than I did! I was using some "Brand Gimmell" bullets though maybe thats the difference?